“I want this not just because it’s good for the students themselves, the communities involved and it’s good for our economy but because it really goes to the essence of what we are about as Americans. There is nothing more essential to living up to the ideals of this nation than to make sure every child is able to live up to their God given potential." President Barack Obama signs the Every Student Succeeds Act into law, joined by lawmakers, students, teachers and incoming Secretary of Education, John King. On December 10, in a South Court ceremony, President Obama signed into law the Every Student Succeeds Act (ESSA), the reauthorization of the Elementary and Secondary Education Act (ESEA). The signing capped a remarkable week of Congressional activity, with the House (359-64) and Senate (85-12) overwhelmingly approving the bipartisan legislation to replace the No Child Left Behind Act (NCLB), the previous version of the ESEA that has been up for reauthorization since 2007. In further recognition of the ESEA’s legacy as a civil rights law -- upholding critical protections for disadvantaged students -- the ESSA holds schools to account for the progress of all students, prescribing meaningful reforms to remedy under-performance in those schools failing to serve all students; maintains dedicated resources and supports for students with disabilities, English Learners, Native American students, homeless children, neglected and delinquent children, and migrant and seasonal farmworker children; and keeps states and districts on task with the work they began this year to ensure all students have equitable access to excellent educators. There is much work to be done as the nation moves to implement the new law. 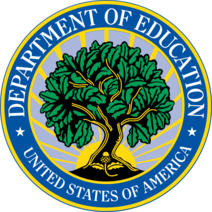 The White House and the Department have released a number of materials to help educate the public about the ESSA, many of which are posted on the Department’s ESEA web page. Additional materials will be posted when available. You may also sign up for email updates about ESSA here. Questions? Email ED at ESSA.questions@ed.gov. The cornerstone of IDEA is the entitlement of each eligible child with a disability to a free appropriate public education (FAPE) that emphasizes special education and related services designed to meet the child's unique needs. The primary vehicle for providing FAPE is through an appropriately developed individualized education program (IEP) that is based on the individual needs of the child. In November, OSERS published a policy letter clarifying that IEPs for children with disabilities must be aligned with state academic content standards for the grade in which a child is enrolled. The Department recently announced a new experiment that will expand access to college coursework for secondary school students from low-income backgrounds. For the first time, such students will be able to access federal Pell Grants to take postsecondary courses via dual enrollment -- in which students enroll in college coursework while also working toward a secondary school diploma. The agency is inviting postsecondary institutions -- in partnership with public secondary schools or districts -- to apply to participate in the experiment. It will invest up to $20 million in the 2016-17 award year, benefiting up to 10,000 students. Research shows that participation in dual enrollment can lead to better grades in secondary school, increased enrollment in college following secondary school, higher rates of persistence in college, greater credit accumulation, and increased rates of credential attainment (fact sheet and blog post). ED and Health and Human Services have released a report showing Race to the Top-Early Learning Challenge states are rapidly improving the quality of early learning programs while enrolling more children, especially from low- and moderate-income families, in the highest-quality programs. More programs are being evaluated and more programs are performing well. Recently reported data from the CDC shows progress in identifying students with Autism Spectrum Disorder (ASD) at an earlier age, thus allowing for provision of services to address intellectual disability in pre-school settings. Learn more about the Autism and Developmental Disabilities Monitoring Network (ADDM), and it's project Early ADDM here. After more than five wonderful, inspiring, challenging years with the US Department of Education, I have resigned effective the end of December in order to spend more time at home in Mississippi with my family. As of January 1st, 2016, Ruth Ryder will be Acting OSEP Director. 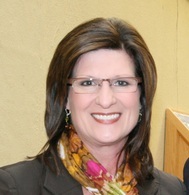 It has been my great honor to serve as director of the Office of Special Education Programs. There are no words to adequately express my appreciation to the many people I have grown to love and respect---Michael Yudin, Sue Swenson, Ruth Ryder, Gregg Corr, Larry Wexler, Bill Wolf, the entire OSEP team made up of the most incredible, dedicated people I know, and the many educators and organizational partners who taught me so much and helped me become a better teacher and a better person. Thank you State directors and Part C Coordinators for your exceptional commitment, and I look forward to continuing our work together to improve the lives of our nation's individuals with disabilities and their families. Interveners and Children Who are Deaf-Blind: Learn more about the National Center on Deaf-Blindness and how deaf-blind youth can benefit from intervener services. Described and Captioned Media Program (DCMP): This OSERS-funded program provides invaluable, free resources to students with disabilities! Building the Team with Your Teen: OSEP's Center for Parent Information and Resources releases Age of Majority tip sheets for guiding parents and young adults through the challenges reaching the age of majority can present. The Department hosted several events in November to commemorate the passage of the Individuals with Disabilities Education Act, which was originally passed 40 years ago, as the Education for All Handicapped Children Act, in 1975. Symposiums and panels held at the Department's headquarters as well as the White House brought together a prestigious group of advocates, scholars, students, teachers and families of students with disabilities. Remarks were made by Secretary Duncan, Deputy John King, and many OSERS leaders. Assistant Secretary Michael Yudin announced the release of many new resources for students, teachers and families, including products of the campaign to #RethinkDiscipline, a toolkit for Positive Behavioral Interventions and Supports, and a compilation of evidence-based strategies for teachers responding to and supporting behavior in their classroom. The Department's Homeroom blog also underlined the importance of this celebration in its inspiring profile of a local principal, entitled Celebrating Disability as Diversity: The Importance of IDEA. OSERS Website for College- and Career-ready Resources Debuts! For forty years, IDEA has helped millions of students with disabilities gain access to a free appropriate public education (FAPE). However, the Office of Special Education and Rehabilitative Services (OSERS) knows that FAPE is only the beginning. Every student must not only graduate from high school, but do so college- and career-ready. Students with disabilities and struggling learners need to be held to high standards and taught by teachers who are motivated and prepared to implement evidence based practices designed to improve the achievement of students with disabilities. Such an outcome necessitates increased supports to teachers and engagement with families. As such, OSERS has officially launched a new website entitled IDEAs that Work: Preparing Children and Youth with Disabilities for Success. This web site is designed to provide easy access to information from research to practice initiatives funded by OSERS, including resources, links, and other important information to assist teachers and families in supporting the academic, social, emotional, and behavioral needs of students as they become college- and career-ready. Please continue to check the web site for new information that will be posted as it becomes available. President Obama affirmed early this month the value and high regard our government holds for persons with disabilities across the globe, highlighting the advances we've made in ensuring equal treatment under law, and the progress that is still to be achieved in his official proclamation on December 3, 2015.The president lauded the accomplishments made under both the Americans with Disabilities Act and Individuals with Disabilities Education Act during his speech. Forget textbooks that are out-of-date just weeks after being printed. Find out how the Williamsfield School District, (Ill.) a small, rural district serving approximately 300 students in one building—Pre-K through 12th grade—decided to #GoOpen and replaced textbooks with online resources. Learn more about the #GoOpen campaign that encourages states, school districts and educators to use openly licensed educational materials and the Department's proposed regulation that would require all copyrightable intellectual property created with Department grant funds to have an open license. This month, we saw another sign of progress. The nation’s high school graduation rate hit 82 percent in 2013-14, the highest level since states adopted a new uniform way of calculating graduation rates five years ago. Click here to view the graduation rate data from the National Center for Education Statistics —including a state-by-state breakdown.